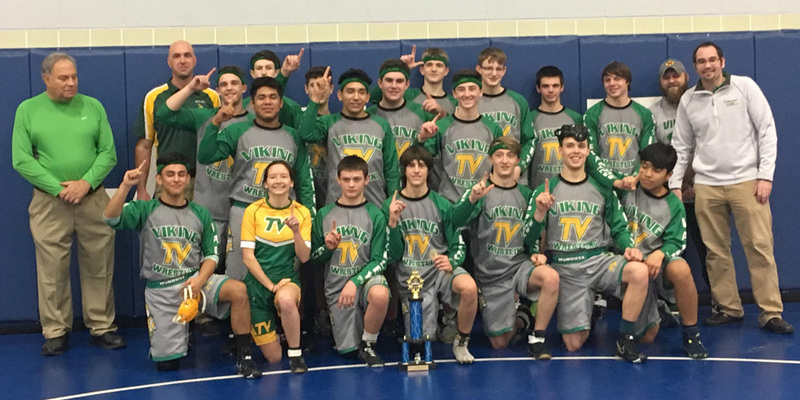 LAKEVILLE — Tippy Valley wrestling swept the field for a 5-0 finish and the title at the LaVille Invitational Saturday. The Vikings beat South Bend St. Joseph’s 63-15, Bremen 72-12, host LaVille 54-30 in their closest dual of the day, Triton 54-18 and Mishawaka Marian by a 78-0 margin. Seven different Valley wrestlers went 5-0 on the day. Haley Hoover (106), Drake Montelongo (113), Branson McBrier (132), Jacob Ehernman (145) Jon Humes (152) Brandon Hammer (170) and Johnny Gonsalez (195) were all perfect, while Hunter Eherenman (126) and Braxton Davis (220) were both 4-1 at the meet. Triton results from the invitational were unavailable. Valley will travel to Warsaw for a meet Wednesday at 6:45 p.m.